I'm really beginning to wonder what is up with this weather. It's cold, then warm, and back to cold again. I'm blaming these crazy temps on the never ending Sinus Infection that I am trying to get rid of! 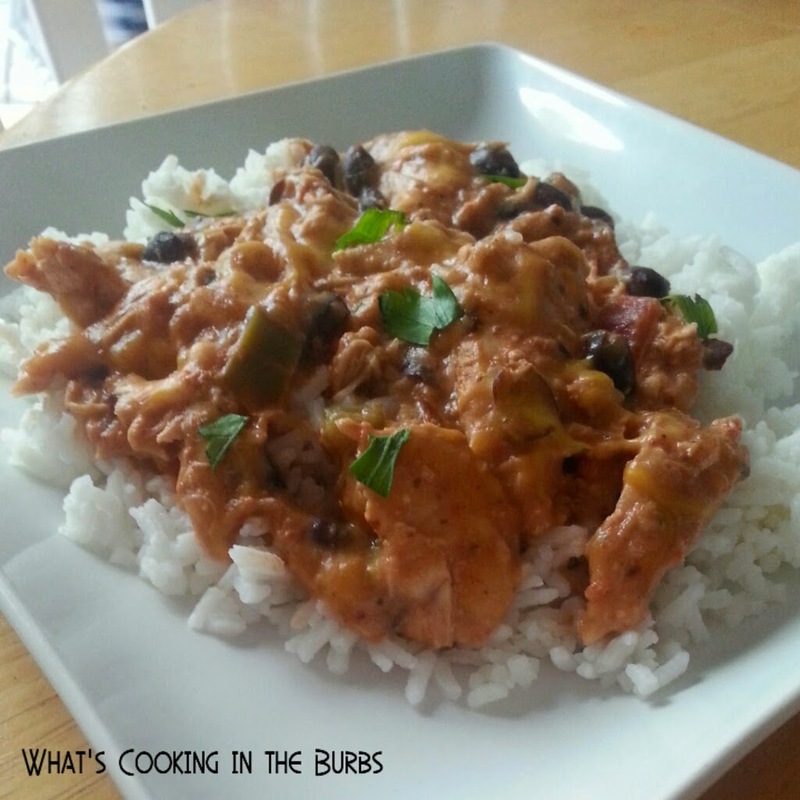 This chilly weather has me craving something spicy and this Creamy Salsa Ranch Chicken is definitely the perfect dish to warm me up! It makes the perfect weeknight meal! Arrange chicken in bottom of crock pot. Sprinkle ranch seasoning over chicken and add in remaining ingredients. Cover and cook on low for 3-4 hours. Break chicken into pieces and serve over rice or tortilla chips. Enjoy! Sounds so good...can almost smell it...thanks for sharing on the Thursday Blog Hop! this looks yummy too. pinned to try. found at foodie friday too. Have a great night. What a great meal that we will really enjoy! Thanks so much for sharing this awesome recipe with Full Plate Thursday. Hope you are having a great weekend and come back to see us real soon!